Are you vegan and missing meringue? 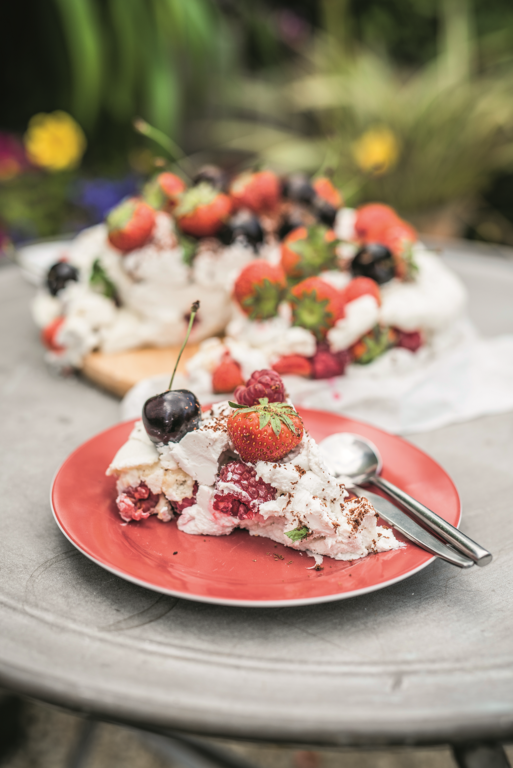 Try this vegan meringue recipe from The Happy Pear, which switches out eggs for chickpea liquid. This egg-free meringue is a miracle! 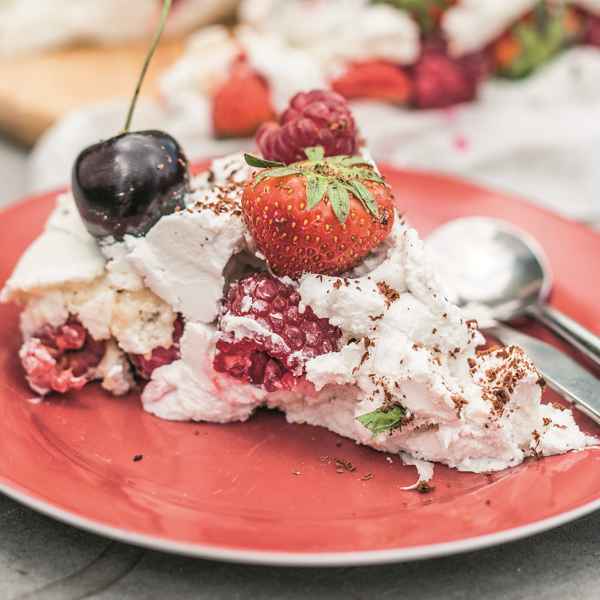 At last – an egg-free meringue! 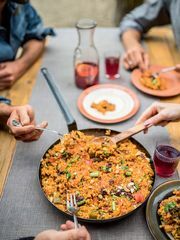 We know this sounds like a total contradiction, and when you see what we are using instead of eggs you will be amazed! 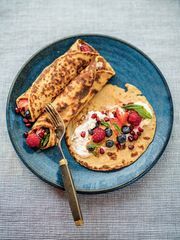 This is very straightforward and involves the same steps as a normal Pavlova – first you make the meringues and then the cream. The meringues will keep for 5 days in an airtight container. 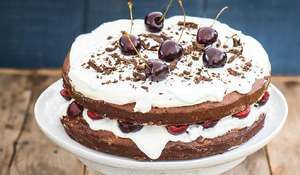 You will need an electric hand whisk, 2 baking trays and a 23cm springform tin. 1. 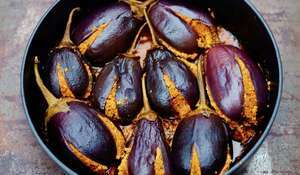 Preheat the oven to 110°C/225ºF/gas mark ¼. 2. 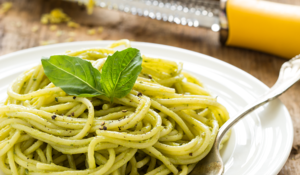 In a clean bowl, whisk the chickpea liquid for 10 minutes, using an electric hand whisk. 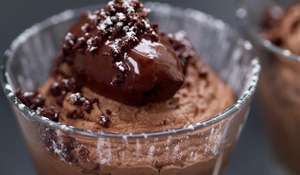 It will become thick, stiff and creamy, with soft peaks. 3. Sprinkle in the caster sugar and keep whisking, adding the sugar into the mixture for a further 5 minutes. 4. Get out two baking trays. Using the base of a 23cm springform tin, draw a circle on a sheet of baking parchment. Draw a second circle beside it. You should be able to draw two circles on each baking tray. Altogether you’ll draw four circles. 5. 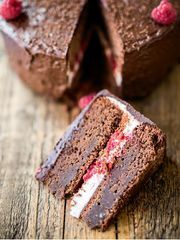 Spoon the meringue mix to fill your marked circles, then put the two baking trays into the preheated oven for 2½ hours. 6. 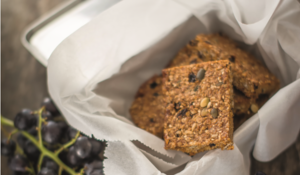 When they are ready, take them out, leave to cool for 40 minutes, and carefully peel off the baking parchment. 7. Skim the cream from the top of each tin of coconut milk. Put into a bowl and add the vanilla extract and 2 tablespoons of the clear coconut milk from the cans. Whisk with an electric whisk for 1 minute to bring it all together and remove any lumps. 8. Place your base layer of meringue on a flat plate and spread with a layer of coconut cream. Top with fruit of your choice (e.g. fresh raspberries/strawberries/passion fruit/kiwi/ mango). 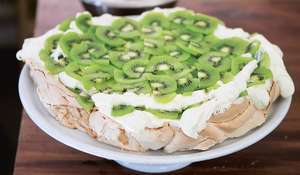 Repeat until you are left with a last layer of meringue to put on top, top with some coconut cream, decorate with some fruit and mint leaves. Enjoy! Who's the author? 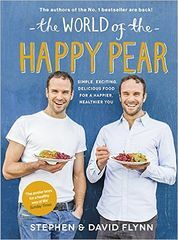 Ireland's most energetic twins, Stephen and David Flynn, owners of health food mecca The Happy Pear cafe and authors of The Happy Pear.